Follow these steps to add a bio\photo page for a faculty or staff member. This assumes the faculty\staff has been added to the Directory\People section of the web. Please contact webdev@uwgb.edu if their name isn't in the directory. 1. 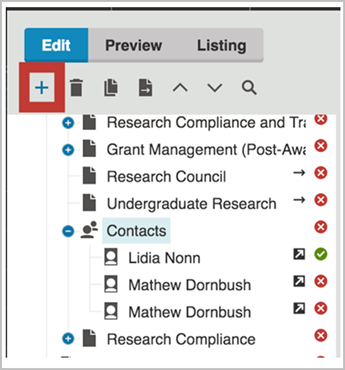 Select the menu item for faculty and staff photos; in this example, it is named "Contacts". 2. 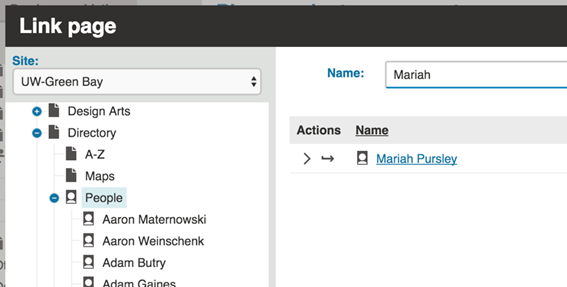 Select the "plus" icon to create a new People page. 3. Select "Link an existing page". 4. From the content area, navigate to Directory --> People and search for the individual. Click "add" and the name will be added to the page. 5. 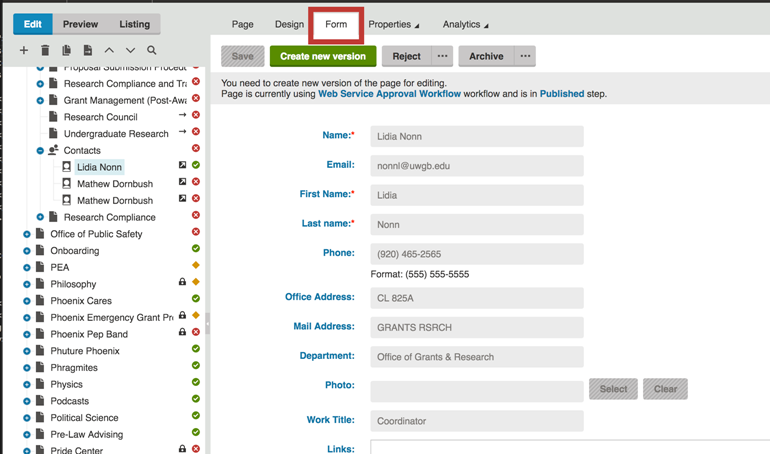 Edit the information by selecting the Form tab. Click on Create a New Version or Check out the page. 7. Remember to "Check In" when finished and then "Submit for Publishing"